A foreclosure is a lengthy process with a host of requirements that must be met before the foreclosure can be considered legally valid. It proceeds in very deliberate stages and each stage must be properly conducted and properly documented. Anything less can open the door to challenges that, in the worst case, can invalidate the entire process. Although the specifics vary among lenders and among jurisdictions, foreclosure papers tend to be voluminous. There may be a Notice of Acceleration, a Notice of Default, a Notice of Intent to Foreclose, a Notice of Sale and, especially in jurisdictions that allow for a period of redemption, a foreclosure notice that is delivered after the sale has actually taken place. None of those documents is optional and all must comply with explicit requirements set by statute or regulation. Whether the foreclosure is conducted in a judicial or non-judicial jurisdiction, each step must be completed and the parties duly notified before the next step can begin. If a party becomes aware that a foreclosure notice was defective at any stage, his only recourse may be to start the case from the very beginning. 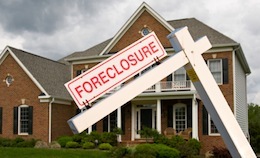 The situation is even worse if the foreclosure is attacked in a later proceeding. Anyone seeking to contest the validity of the sale will invariably take a long, hard look at proper service of each and every one of the foreclosure papers. In the worst case, insufficient notice can undo an entire foreclosure sale. If nothing else, it can lead to serious questions about an easily avoidable mistake. It stands to reason, then, that anyone conducting a foreclosure should be completely satisfied with both aspects of the paperwork: the foreclosure papers themselves and their timely and proper service. Given the significance of proper delivery, this is no time to take risks. The best way to ensure the delivery of notices to the right people, at the right place, at the right time and in proper form is to entrust the job to a professional process server. Process servers are trained and experienced in doing the job correctly, the first time and every time. They know the rules and regulations. They understand the criteria for effective service of a wide variety of documents, including the especially sensitive papers involved in a foreclosure, and they can, if necessary, provide an affidavit of service. Process servers are a truly cost-effective solution, but, regardless of cost, the professional approach is no luxury in the foreclosure arena.